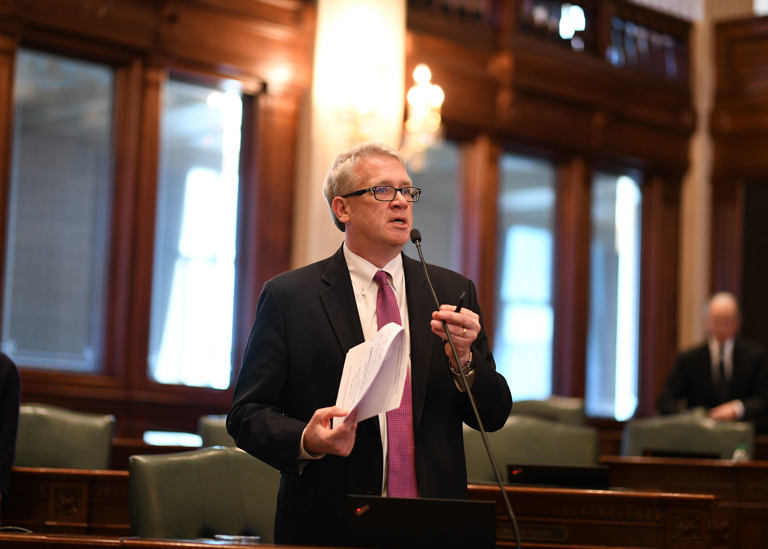 Illinois House Republican Leader Jim Durkin (R-Western Springs) and State Representative Deanne Mazzochi (R-Elmhurst) introduced new legislation today that will enact new restrictions on ethylene oxide emissions and facilities that use the chemical in production. House Bill 1841, known as the Matt Haller Act, will prohibit the renewal of any permits for facilities that violate federal or state standards for ethylene oxide emissions. The legislation will also prohibit new ethylene oxide medical sterilization facilities from opening within 10 miles of a school or park in counties with more than 50,000 residents and 15 miles in counties with less than 50,000 residents. Furthermore, it prohibits the use of ethylene oxide by any facility that has had egregious violations requiring a seal order. The only exceptions are for facilities engaged in lifesaving work where no alternatives are available or the Illinois EPA certifies that the facility uses technology that produces the greatest reduction in ethylene oxide emissions. Another component of the legislation is to require a public notice and notice to schools, hospitals and local government officials in the event of any elevated EtO emissions levels as well as annual ambient air testing at all EtO emitting facilities. Matt Haller, a 45-year-old Willowbrook resident, passed away earlier this year from stage four stomach cancer. Haller lived about a mile from the Sterigenics plant with his family and was an outspoken proponent for the closure of the facility.